Same day service is standard at Zoom. We’ve simplified every aspect of dry cleaning so that you get your clothes cleaned fast, you get them cleaned right and you get both at a cost that is affordable. 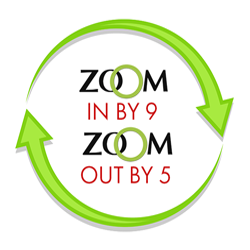 Zoom understands that while you like a great deal, you don’t want to sacrifice on quality. Our simplified pricing makes it possible to have the best of both worlds. No longer do you have to spend more to look good! 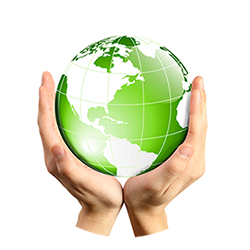 By using environmentally friendly products and processes, we make a daily effort to provide great service while keeping you, your family and your ecosystem safe. Our cleaning machines are equipped with eco-friendly solvent that is good for the environment and also better for garments. You are smart, confident and you know what you want. Zoom Dry Cleaning of Pittsburgh is a full service dry cleaner that offers you an alternative to the traditional. We’ve combined quality with convenience and made it affordable with value pricing. Full Service – we do it all…Alterations, Leather, Silk, Wedding Gowns, Coats, Comforters, etc. Zoom Dry Cleaning of Pittsburgh is conveniently located at 4638 Browns Hill Rd in the historic Squirrel Hill neighborhood and also in the South Park Shops in Bethel Park. Stop in today to learn about our services or call us at 412-521-2407 (Squirrel Hill) or 412-833-4826 (Bethel Park) . Dress for Success Pittsburgh – Donate Here! Zoom Dry Cleaning of Pittsburgh is proud to partner with Dress for Success Pittsburgh. Bring in a donation and we'll make sure it's cleaned and delivered for free. We'll also give you 10% off of your personal order.